Pukaha Mt Bruce Wildlife Centre is reaping the financial rewards of having little white kiwi Manukura within its walls, with more than 1000 visitors paying to see him since he began public viewings only a month ago. The kiwi, now two months old, attracted huge national and international attention when he was born at the centre from two North Island brown kiwi on May 1. He was introduced to the world on May 26 and in the following two weeks was visited by 700 people. 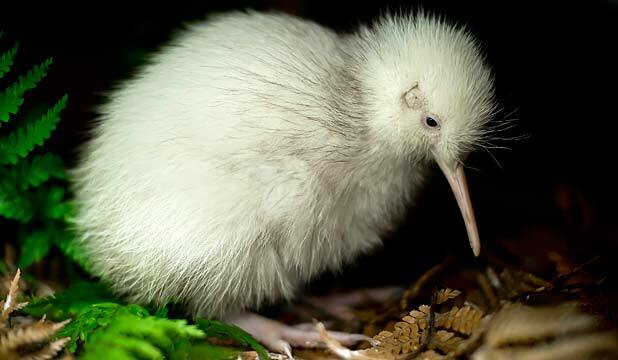 His pure white colouring was the result of a recessive gene and he was believed to be the first all-white kiwi born in captivity. His parents were taken from Little Barrier Island, where there were a few other white kiwi and several with white patches. Manukura could be viewed at the centre on Sundays only because of his nocturnal nature. Field centre supervisor at Pukaha Mt Bruce, Kathy Houkamau, said the interest in Manukura had been incredible, with visitor numbers for June up 25 per cent from last year, but she could not put a figure on the financial impact. “He’s pretty much tipped our world on its ear, it’s had a huge impact,” she said. Winter was usually quiet at the centre, but the combination of a star attraction and mild weather had brought people to the centre in their droves. People were learning more about kiwi and the challenges they faced through their experience with Manukura and were inspired to learn more. Manukura had his own Facebook page with more than 1000 fans already, and he was generating a lot of interest off-shore. One foreign visitor even wanted to buy Manukura as a pet for his mother – a request that was politely declined. 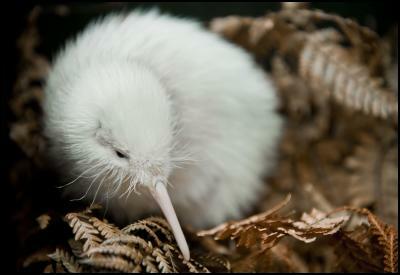 Many people inquired about whether or not another white kiwi could be born if the same parents were to breed again. Ms Houkamau said the chances were quite slim.